Two weeks ago Brent reported on the fact that Nokia was going to line the pockets of AT&T employees for recommending their new Lumia 900 smartphone. Well it appears that some employees either didn’t get that memo or get that check. CNet reporter Marguerite Reardon set out on a mission Monday to see what AT&T employees at stores in New York City had to say about the new Nokia Lumia 900, a Windows Phone 7 device. She went into several area stores posing as a first time smartphone buyer and expressed interest in the latest Windows Phone 7 device. Despite a star studded launch event in New York City over the weekend, and the fact that there is signage everywhere in AT&T stores promoting the Lumia, Reardon found that New York City AT&T Wireless employees were still quick to recommend the iPhone. The experience was echoed in Massachusetts where Senior Research Analyst at IDC, Ramon Llamas had a similar experience, except with Android. Llamas checked several AT&T stores in his area and was quickly recommended Android devices like the Samsung Galaxy Note. He luckily found one employee who was enthusiastic about the Lumia 900 and the Windows Phone 7 operating system but Llamas reported that employee was the exception and not the rule. The Nokia Lumia 900 is the latest “Hero” phone for AT&T. It’s been reported (and then debated) that AT&T plans to spend $150 million dollars to promote the Lumia 900. Regardless of the exact amount AT&T has said that the Lumia 900 is their biggest device launch to date. Reardon points out in her article that the first time smartphone buyer is crucial to the success of the Lumia 900. Those users coming from a feature phone to a smartphone for the first time won’t already be invested in another OS’s apps or have preferences to features. These customers won’t have any preconceived notions against Microsoft or Windows Phone 7. 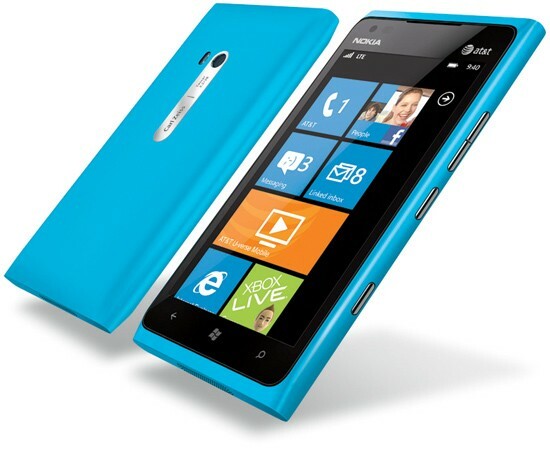 They also may be more inclined to get a Windows Phone 7 device because of the familiarity of the Microsoft brand. Which is why Reardon posed as a first time smartphone customer. She does admit that her study wasn’t the least bit scientific. However, the fact that she did her research project in New York City is quite relevant because of the money Microsoft, Nokia and AT&T invested in launching the device in New York. The device launch was troublesome as well as two of their key celebrities paid to endorse the Lumia 900 quickly resorted back to posting to Twitter from their personal Blackberry’s just moments after the event. In fact Hip Hop/Pop start Niki Minaj tweeted about her experience at the event using a Blackberry.